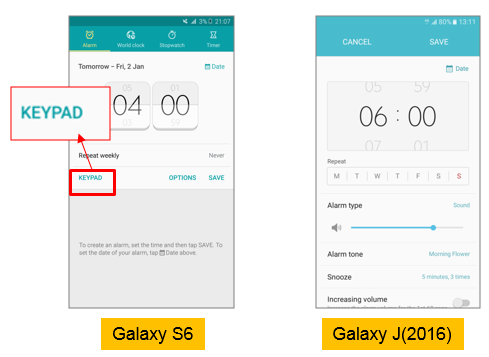 [Galaxy J 2016] Why the keypad does not appear when setting the alarm. 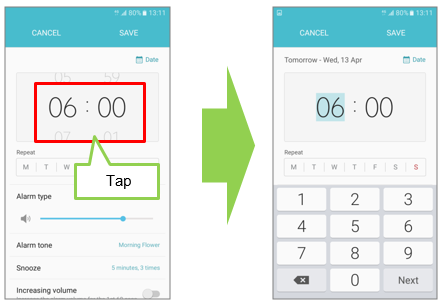 When setting the alarm, if you tap the number part, keypad will appear. [Galaxy J series 2017] What is the secure folder? When I changed theme, new theme style is not applied on some icons. Why is this?